Twenty municipalities from across Simcoe County came together, united in the fight against Impaired Driving, by launching the "Safe Roads...Your Call" initiative. The program, which is supported by all six police agencies in the County, encourages motorists to call 9-1-1 if they see a suspected Impaired Driver. To date, the program has had overwhelming success. The County-wide program was made possible through generous sponsorship from the County of Simcoe, RIDE 24/7 and the MADD Barrie/Simcoe Chapter. You can play a role in keeping our roadways safe. and report the incident to police. Police will ask you to provide your location, a description of the vehicle and the last known direction of travel. 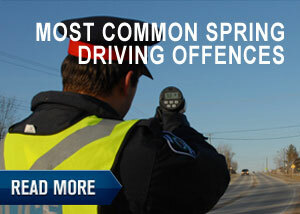 Impaired Driving remains the leading cause of criminal death in Canada.